Increase Your Fiber Intake Fiber normally solidifies your stool while still making it move through your body more easily. You will find it in whole-grain bread, cereals, beans, fresh fruits, and vegetables. You might also want to try supplements in case you can’t get adequate fiber from foods. Ensure that you add fiber slowly into your diet to help avoid bloating. Drink a lot of Fluids Stay hydrated to keep your stools soft so that they are easier to pass. Water is usually the best choice. Make sure that you drink plenty of water throughout the day. You can also drink prune juice, which a natural laxative and can help you a lot as a hemorrhoids treatment. Exercise Regularly Keep moving! Regularly working out, even a brisk stroll or jog for 20 to 30 minutes daily can work as a temporary hemorrhoids cure. Laxatives and Stool Softeners Your doctor might suggest taking some laxatives or softeners for a short period time to make going to the bathroom easier, which might be over-the-counter or be prescription-level. Follow Good Bathroom Habits Do not spend a lot of your time on the throne. If nothing’s happening within the first several minutes, then don’t wait or strain to try to make it happen. Relieving yourself at the same time every day is what your body needs, and your body is capable of being conditioned. Do Not Hold it In Whenever you feel like you have to go, do it. Do not wait for a better place or time. If you get backed up, this could lead to more pressure and straining. Go as soon as you can whenever nature calls. Take Warm Baths Ensure that you soak in a bath that’s filled with few inches of warm water for about 20 minutes. Do this two to three times daily, preferably after each bowel movement. Pat gently afterward to dry. Do not rub or wipe hard. In addition, there are special “sitz baths” that you can put on your toilet seat directly to make soaking more easier. Rub-On-Relief Over-the-counter ointments and creams can often ease hemorrhoid symptoms for a while. Don’t use creams with hydrocortisone elements for more than one week unless your physician says it’s okay. Creams or wipes with witch hazel are capable of soothing pain and itching without any side effects. Ice it Down Put a fairly small ice pack on the affected area several times during the day. It can help to ease the pain and swelling while still giving you short-term relief. Consider Painkillers Take nonprescription pain medicine to help with the soreness. Ibuprofen or acetaminophen can help a lot as a temporary hemorrhoids cure. Keep Your Feet Up Put your feet on a stack of books or a stool when you go into the bathroom. Raising the feet while sitting on the toilet usually changes the position of all your inner workings, which might make bowel movements easier. Use a Pillow Sit on cushions, soft surfaces instead of hard surfaces. 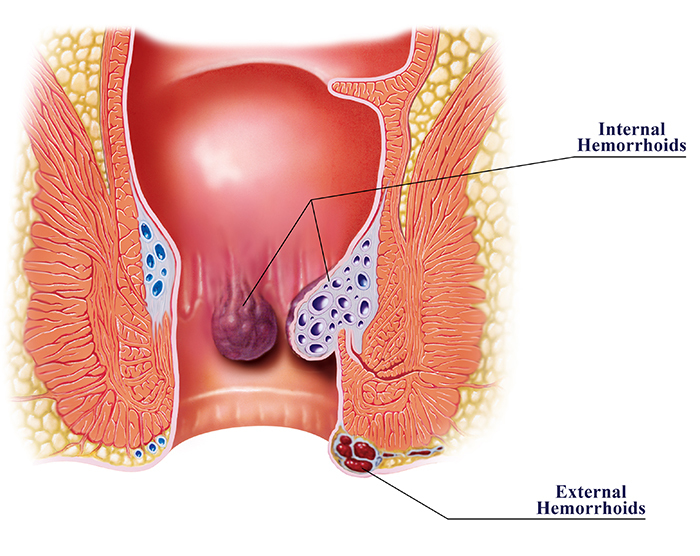 This will ease the swelling of hemorrhoids that you may have. This might also help in preventing new ones from forming. Keep it Clean Wash the affected area daily. Use unscented soap and warm water. Dry the affected area by patting it gently. You can also use a blow dryer if it has a cool setting. Choose Cotton Wear loose and soft underwear which will keep the area aired out. It also stops any moisture from building up which might bother your hemorrhoids.